If becoming a Game Environment Artist is your dream but you’re not sure if you have what it takes, then you’ll want to read this! From what steps to take, to what to include in your portfolio and what mistakes to avoid, it is all laid out in detail. 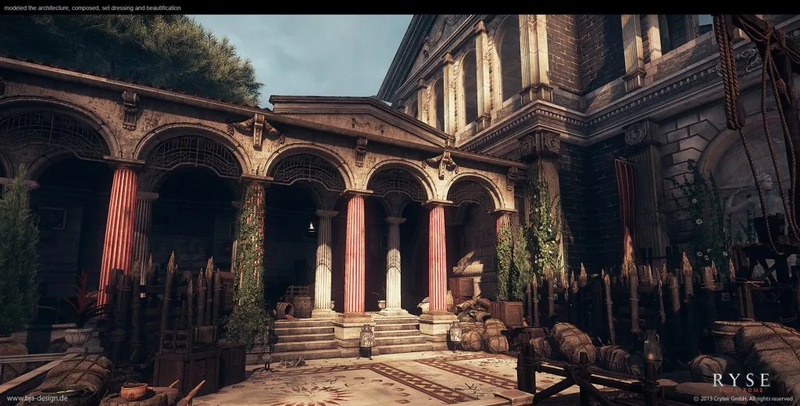 With examples, tips, and inside information, our expert Robert Hodri tells you what you need to know to pursue a career as in Game Environment Arts. Start creating your professional portfolio now by building a website in a couple of minutes with ArtStation Pro! Get your work noticed by game studios and recruiters easily by showing up at the top of searches. It’s beautiful, quick, and easy-to-use. 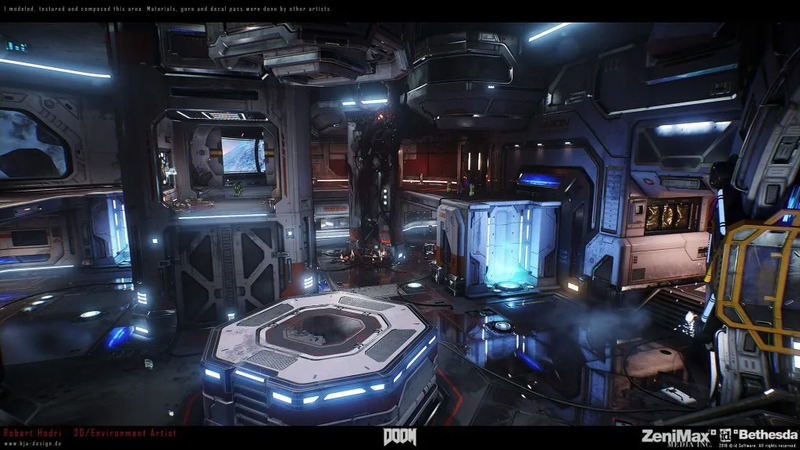 Robert Hodri is a veteran in the industry, currently working as a Senior 3D/Environment Artist at id Software where they recently released DOOM, including three multiplayer DLCs, all of which he worked on. 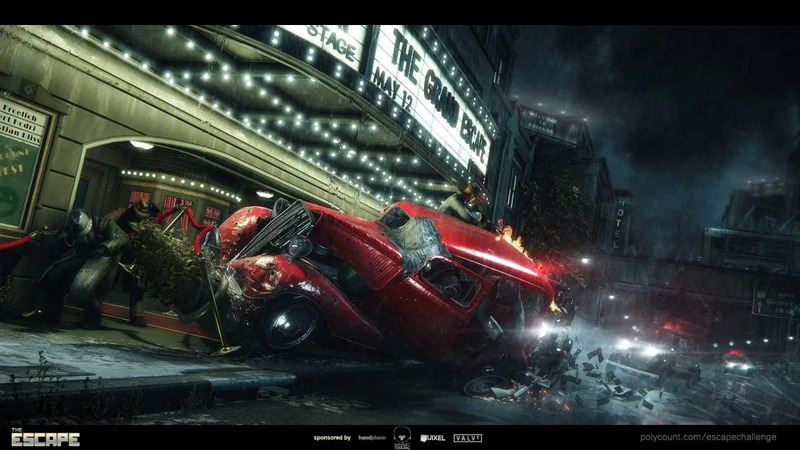 While being self-taught, he started his professional career in 2009 at Crytek in Frankfurt Germany as a full-time Environment Artist, where he also had the opportunity to work on games such as Crysis 2, Crysis 3, Ryse, Warface and Homefront: The Revolution. In this guide, Robert shares his knowledge and expertise by thoroughly addressing every question you might have if you wanted to pursue a career as a Game Environment Artist. How do I become a Game Environment Artist? I would say it’s important to have a passion for video games and art in general. The first thing you probably want to do is getting familiar with all the different software tools you’ll need to create the textures and assets for your environments. It’s also important to be familiar with a game engine. Unreal Engine, CryEngine, Unity, those are all great and available for everyone. All you need to do is to download them. There are also a lot of online tutorials and documentation that will help you to understand how to get your art in game. After you’re familiar with those programs, you can start doing your first props and getting them in any of the mentioned game engines. The learning curve is pretty steep and frustrating sometimes, so it’s wise to start with simpler assets at the beginning. Once you gain more experience, you can also move over to more complex props or even whole environment scenes. As an Environment Artist, you need to be familiar with a modeling package like 3ds Max, Maya or Modo. Knowing how to use Photoshop or Substance Designer/Painter is very essential for creating your textures and materials. On top of that, you should also be familiar with a 3D sculpting program like ZBrush or 3DCoat. That’s quite a lot of different tools you need to learn and can be overwhelming at first. The good thing is that you have tons of tutorials, online documentation and forums where you can ask questions. There are so many different ways to get in touch with other artists and that’s something you should definitely use as an advantage. It’s not uncommon for new artists to get their first job by simply posting their work on websites or just ask on Facebook if someone could forward his/her portfolio to the right people. It’s not only about good work but also about getting noticed, especially with the amount of aspiring artists these days. An important step in getting a job in this industry is an online portfolio, showcasing your art and focus on a style. Making environments can take a lot of time. At the beginning of your career, you normally won’t be working on a whole level or environment where you have to do everything on your own. At least that’s how it is when you’re working on bigger AAA games. Usually you’re assigned to work on smaller props. That’s why I think it’s important to have at least a couple of high quality props and textures in your portfolio. That can be anything from crates, rocks to weapons and vehicles. Just show that you can create good game art and are familiar with the whole process. Making high poly meshes and baking them down on a low poly is something that every 3D artist needs to know and your portfolio should show that. Once you applied to various companies it’s not uncommon to get an art test before they even want to set up a phone interview with you. That test can be different depending on the company and position you applied for. It can vary from a small prop to a whole environment scene. You’re normally provided with a loose sketch and a brief description of what is expected for the final prop/environment in regards of modeling, texturing and mood. When they like your test they normally set a phone or skype interview and have a chat with you, so you can talk to the lead artist and art director. Be prepared to give a brief introduction about yourself and your interest in the studio and the project. It’s very common that you’ll be talking about the art test and your workflow when creating props or environments. When everything goes well you’ll get invited for an on-site interview where you meet the team and sometimes even have the chance to see the project they are currently working on. This is a good time for you to also ask a lot of questions. It shows your interest and helps to know more about the culture of the team and studio you applied for. That’s the last step in the hiring process. After that you normally get a job offer. What do I need in my portfolio? Great art, obviously! But first you need a good website that is easy to navigate and represents your art in a good way. You can of course create a fancy website on your own but be careful not to overdo it with all kind of flash animations or long loading times. Have your contact information easy to find on the site, add your email address and name on your images and have your resume available online and for download. It’s nice of course to have a personalized portfolio homepage but that can also require a lot of time and not everybody is a web designer. I would say ArtStation is the way to go these days. You just have to register, create a profile and upload your art screenshots. It’s so easy to use and it doesn’t require a lot of time. It also has a big community with a lot of video game industry experts in there. Find out more about easy-to-use and customizable ArtStation Pro portfolio websites! 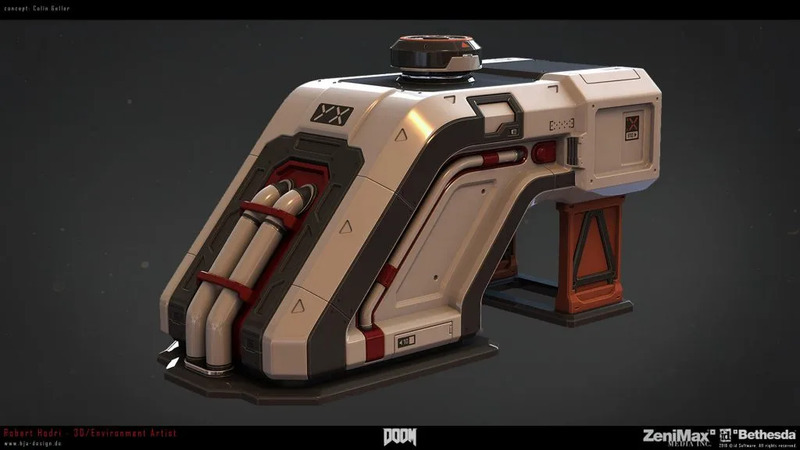 From an art content perspective, your portfolio should show that you’re able to do all tasks that are required to work on a game environment: modeling, texturing, composition, level beautification colors, lighting. Those are the main things you’ll be responsible for as an environment artist. Concept art that show your drawing skills are a plus but not necessarily needed. Later on you have 2D artists that provide you with concept art and overpaints but it’s still useful to be able to do your own quick sketches to test out ideas. Often it’s faster to iterate on design ideas on paper than it is in 3D. If you’re aiming for an environment art position only, you don’t need to have characters, animations or VFX stuff in your portfolio. It’s a plus but as a beginner you want to focus your portfolio because mastering a discipline can take years and your art samples should have a consistent quality. You don’t want to have a portfolio with amazing environment scenes and props but bad character animations next to it. You also need to know where you want to work and land your first job and your portfolio should represent that. It’s not wrong to have a wide range of different styles because it shows you’re flexible and can adapt to different art styles easily. However, a studio normally looks to fill in the open positions with people that have the same art style as the project they work on so you need to show that you can replicate their style. It’s better to have three amazing assets in your portfolio than nine mediocre ones. Competition is hard and you have to stick out from the mass of artists trying to get their first job. Creativity and unique art samples help you do that. Metal barrels, wooden crates, concrete or brick textures are not exactly assets that will blow anybody away anymore. Try to come up with something refreshing and unique when building props or an environment. Let’s say you want to do a chair prop. Instead of making a simple wooden one with easy shapes, try to do something more complicated like a baroque chair that has a lot of details and ornaments. Of course, those props take way longer to finish but it’s better to have three amazing assets in your portfolio than nine mediocre ones. What do hiring directors want to see? A great portfolio where your art is easy accessible is important. When you don’t have any industry experience, I’d say your resume isn’t that decisive to get you the first job. Just keep it simple and when possible under one page. Show finished work and try to avoid having too many work in progress pieces in your portfolio. A portfolio that only consists of unfinished pieces makes it look like you won’t be able to finish any given tasks on time. 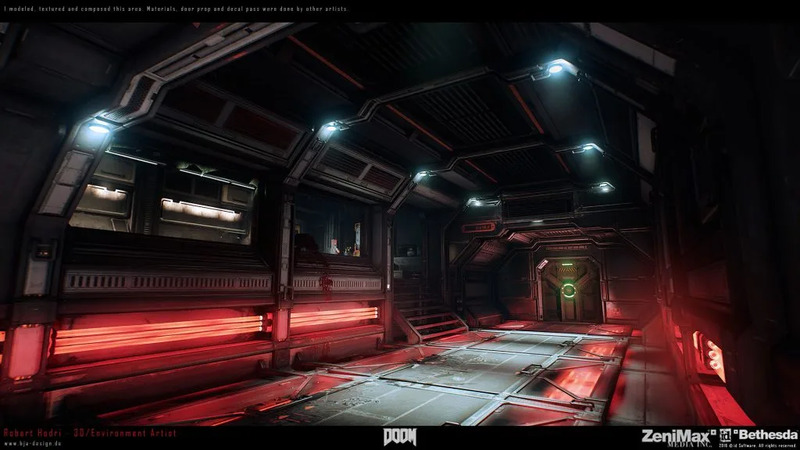 In my opinion, demo reels are not needed for environment artists. They take a long time to do and are outdated very fast. 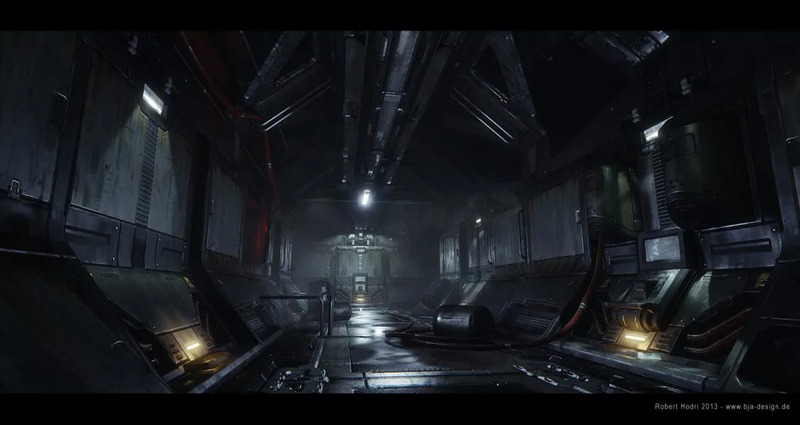 Screenshots of your props and environments from different angles are all you need. Spend some time on how you present your art and do some beauty shots. Sometimes even the most generic prop can look amazing with a great presentation. It’s hard to impress anyone with a viewport screengrab of your asset with flat lighting in it. Spend some time on nice lighting and rendering setups, tweak your materials and maybe add some subtle post-processing effects to give it a final touch. But don’t overdo it! You still want to be able to see the art. It’s also great to have breakdowns of your high poly, low poly and final meshes, modular kit pieces, wireframes and texture flats. Whatever you can add to showcase your workflow and how you achieved the final prop or environment. What is a typical day like for a gaming environment artist? I would say that depends on the position (junior/mid-level/senior) you have within the company, the team size and the status of the project you’re working on. As a junior artist you’re normally scheduled to do smaller props and environment areas. Once you’re more experienced and on a senior level, you get to work on more important hero assets and take care of whole multiplayer or single-player levels. With the amount of people involved in creating a level, you also have to manage and organize a lot of people involved in the creation process. During the early phase you normally spend your days blocking out modules and levels, creating first materials, and getting a couple of levels in a playable state to create a first playable demo to see if all gameplay elements work together. After that proof of concept, it’s about getting all the levels done in a more polished state with a first texture and art pass for most areas. You’ll be mainly working on architectural elements. Normally you’ll also be placing props and decals in the level and work on the composition. Once all the art is in game and won’t change anymore, it’s all about polishing, bug fixing and optimization. What are common mistakes made by people in your line of work and how can I avoid them? Try to focus on silhouettes, shapes and be careful where you add all your details. I think one of the biggest mistakes you can do as an environment artist is to ignore feedback from other people. You need to have an open mind for other artists and designers opinion and be able to quickly iterate on any changes that are requested. It’s not uncommon to work for weeks or even longer on an environment. And when you look at your own work for too long you often can’t tell if you’re still improving on it or just keep changing things around for the sake of changing things. It helps a lot to get fresh eyes and other people’s opinion and feedback to make a level environment better and more fun to play. Adding too many little details and making scenes to busy happens quite often. Even if it looks great, it can make the player path unreadable. 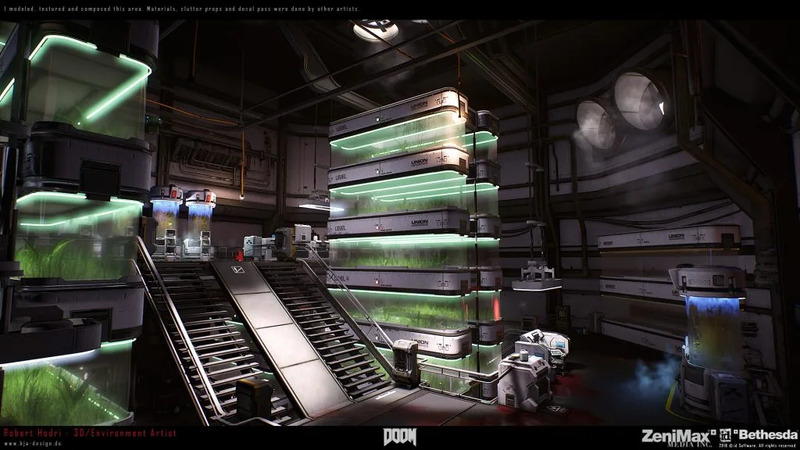 And since it’s a video game, the environment art should also support the gameplay. Try to focus on silhouettes, shapes and be careful where you add all your details. 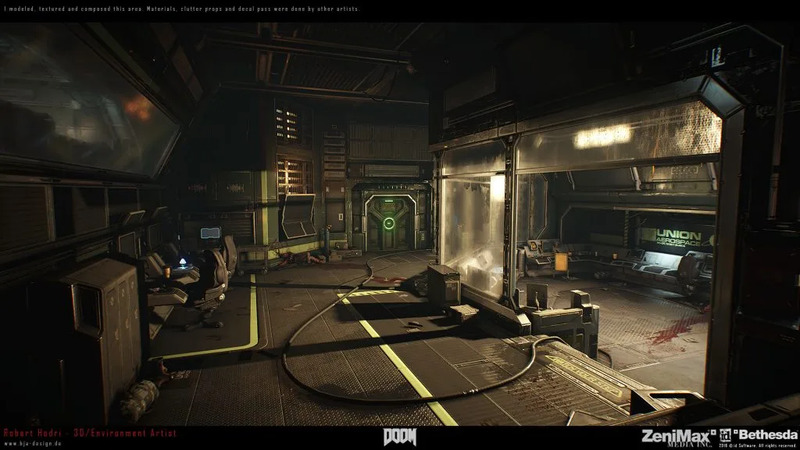 Mood, atmosphere and lighting can help a lot but you still don’t want to ruin gameplay by adding too many props and details in a combat space. That’s why it’s crucial to work closely with the level designer for each environment you’re working on. When finishing a level you have to analyze problem areas for performance. It’s important to have a good understanding of the engine and the tech of your game. You have to think about things like triangle count or texture memory. Playing through an unoptimized level that runs with a bad framerate is something that can completely ruin the player’s experience. Therefore. communicating with all different departments is important. See more of Robert’s work on his ArtStation Page.